Now I've been in the area for a while I'm upping my review. There is a buzz there now and I'd say it was taking some business from the surrounding pubs. Definitely worth popping in for a few pints, a game of darts or somewhere to watch the game in a friendly environment, whoever you support. Just moved to the area. I think the landlord is new too. Decent pub though: shows live sport without being a "sports bar". It is still very much a pub. The Morlands was a well kept pint. It does seem like a "locals" place though and it doesn't have that background buzz some places have. Definitely worth a visit for a couple of quiet pints. New management are terrible and need a course in customer care. The pub looks much better but food was awful and gave me an upset stomach. Come here if you like dodgy food and agressive managers. Avoid! 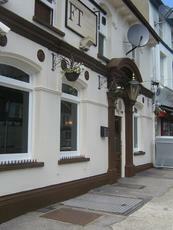 Been in the Freelands Tavern a few times and it�s a good pub. Nice and clean inside with a central square bar. 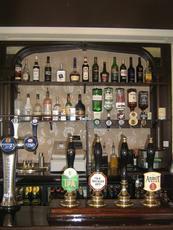 There is sport regularly shown and decent ales on tap accompanied by standard lagers. A nice place to go for a quiet drink and read the paper as well as a good old Friday night session. The garden could do with some attention, even though there are some flower beds along the side and back wall their not much to look at. The garden is all paving slabs and concrete with a few picnic tables. Nice for a beer after work in the summer but I would rather be in a pub garden that is well looked after. Saying that it doesn�t let the pub down too much. The toilets are clean and smell nice, unfortunately I didn�t get chance to sample any of the food there however I�m sure its of a good quality as I did see the kitchen on the way through to the garden and there was a cook who seemed to be very passionate, even when making sandwiches. With the exception of almost being used as a human sick bag by a lets' say 'well tanked up fellow' in the gents - I still enjoyed my visit to the Freelands Tavern - as mentioned on previous posts it has changed hands. Since my last visit two years ago - it is now much cleaner, lighter and roomy. Two ales on tap, both were well kept and pleasant.